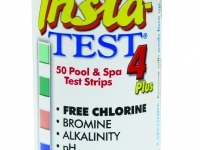 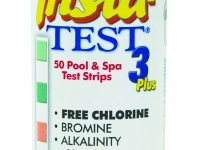 Measures Free Chlorine 0 to 10 ppm, Bromine 0 to 20 ppm, Alkalinity 0 to 240 ppm and pH 6.2 to 8.4. 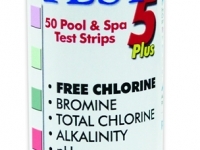 Measures Free Chlorine 0 to 10 ppm, Bromine 0 to 20 ppm, Alkalinity 0 to 240 ppm, pH 6.2 to 8.4 and Total Hardness 50 to 800 ppm. 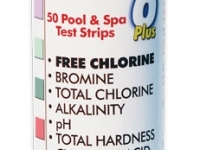 Measures Cyanuric Acid 0 to 250 ppm, Free Chlorine 0 to 10 ppm, Total Chlorine 0 to 10 ppm, Bromine 0 to 20 ppm, Alkalinity 0 to 240 ppm, pH 6.2 to 8.4 and Total Hardness 50 to 800 ppm.